This unique and special trek takes you into the remote beauty of Gilgit Baltistan Pakistan. 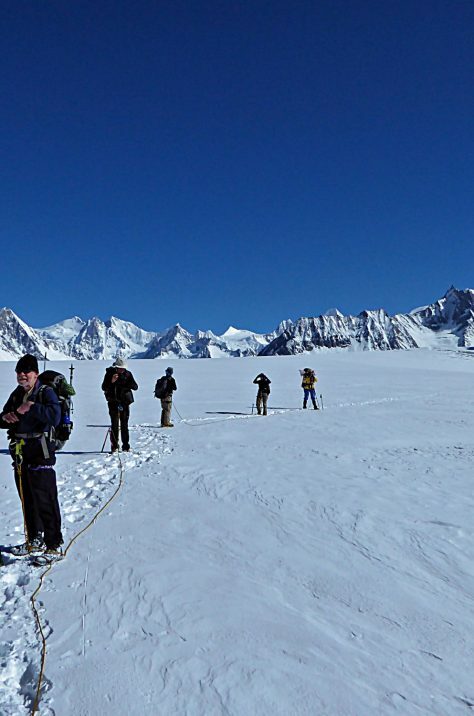 This is a 28 day fully supported mountaineering trek, with the opition to climb a 6000m peak in Shimshal. We aim to trek a pioneering route away from the more popular trekking route. After reaching Snow Lake, we will head north to the more remote Lukpe La Pass to cross into Shimshal (as opposed to taking the more popular Hispar la route to Hunza). Once in Shimshal, we will attempt the 6050m Munglar Shar Peak and then continue onto Hunza and experience the beauty and amazing hospitality of this colourful region. We will then continue on to Islamabad where the tour ends. Kitchen appliances – including stove, fuel and crockery etc. Arrive at Islamabad airport and transfer to hotel. Relax and recover after your flight before regrouping for a full 360 brief and kit check from our guide. Early morning flight to Skardu. In the event of flight cancellation, we will drive to Chilas. Briefing and sightseeing of Skardu town. This is our planned route and camps which are subject to change depending on the conditions and weather we encounter. Please note the rest of this trip is very much exploratory and therefore accurate information and details are not yet known. This is set to be a true adventure into a beautiful and remote region, so we are unfortunately unable to confirm exact details. Flights are not inlcuded on this expedition but many airlines fly to Islamabad (ISB). British Airways now operate a direct flight from London. If you are travelling to Pakistan on a British passport, you will need to get a visa before you travel.